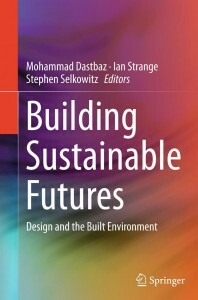 In a new book ‘Building Sustainable Futures‘ edited by Dastbaz and Strange and published by Springer 2015 I contribute a chapter on neighbourhood planning and sustainable communities. The concept of sustainable communities has come to define a particular type of governance in which responsibility for ameliorating the impact of economic growth is devolved to place-based voluntary and community associations. The community provides a model of sustainability in which the economics of collective consumption and the politics of community action can be engaged in the planning and stewardship of local development. The strategies of sustainable communities that result combine the market zeal of spatial liberalism with themes of redistributive justice and equality. In the concept of community they find both a model of resilience and self-reliance and conversely a dynamic of mutual aid and co-operation.